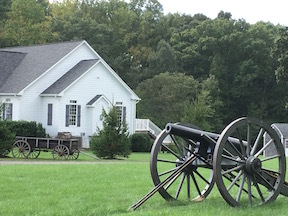 The early bird rate is still available for anyone interested in tickets to next summer’s Sixth Annual Emerging Civil War Symposium at Stevenson Ridge. Early bird tickets are only $135 each, and they cover events Friday, Saturday, and Sunday, Aug. 2-4, 2019. You can order here through PayPal. Keynote speaker A. Wilson Greene, former director of Pamplin Park and noted author and historian, will talk about some of the forgotten actions of the Petersburg Campaign. You can read more about him here. You can read more details about the speakers here. There will also be a Sunday tour of the North Anna battlefield led by Bert Dunkerly. The early bird price remains in effect through December 31 (so they make great stocking stuffers and holiday gifts!). Beginning on January 1, 2019, tickets will be on sale at the full price of $155.